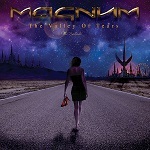 Renowned not only for their powerful rock songs, but also for countless moving ballads, British melodic hard rock icons Magnum have lined up a very special release for the beginning of 2017. ‘The Valley Of Tears – The Ballads’, featuring remixed, remastered and / or re-recorded versions of ten of their most accomplished ballads, will be released as a digipak CD, download and stream on January 6th on Steamhammer / SPV. Clarkin, along with Magnum vocalist Bob Catley, then spent months painstakingly tearing apart, remixing, remastering, and in some cases re-recording ten poignant songs drawn from their extensive 19 studio album strong back catalogue. Along with remastered versions of more recent ballads on albums such as ‘Into The Valley Of The Moon King’ (2009), ‘The Visitation’ (2011) and 2016’s ‘Sacred Blood – Divine Lies’, included are a new acoustic rendering of their ‘Lonely Night’ classic, plus a new haunting live recording of ‘When The World Comes Down’, both taken from 1986’s cult ‘Vigilante’ Long Player.